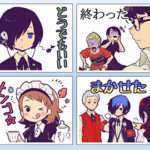 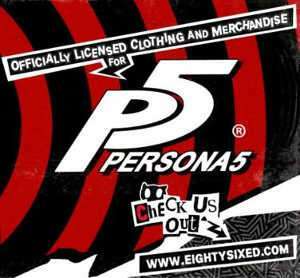 Atlus has released official Persona Stalker Club themed stickers for the “LINE” instant communication service application. 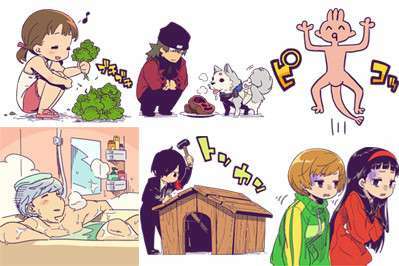 Based on the popular “misheard lyrics” segment illustrations of the talk show by Etrian Odyssey series artist Yuji Himukai, the Persona Stalker Club themed stickers are now available for download on the LINE STORE. 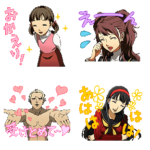 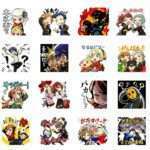 Last year in September 2015, Atlus released Persona 4 anime stickers for LINE.